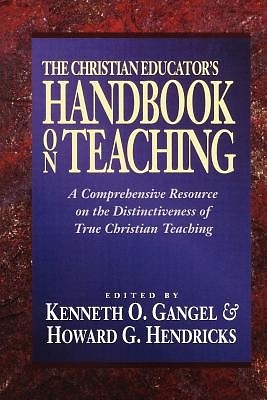 Written by Christian education specialists, The Christian Educator's Handbook on Teaching is a complete resource on Christian teaching for use in the home, church, and school. Foundations are laid, patterns are presented, varieties of teaching are revealed, and crucial roles in Christian teaching are exposed--all with a view to providing the Christian educator with a helpful handbook on teaching. Keep it on your desk--at arm's length--for ready reference and repeated reading.